I don't get all the opposition to the Arizona immigration law, do you? I guess if you're opposed to the idea that there should be such a thing as citizens of a country, and people who are not citizens, and laws which govern who gets to be a citizen, then you would be opposed to this law. There are such people, and while I disagree with them, that would be consistent thinking on their part. But there seem to be many people who do think there should be citizens and non-citizens, and who do think there should be immigration laws, but they are still opposed to this law - in many cases, vehemently opposed. I don't get it. BTW same comment on policing our borders and enforcing immigration laws. If you believe in such a thing as non-citizens then surely it follows you need borders, border police, and enforcement of immigration laws? From the amazing Chris Muir, who draws day-by-day: test pattern. "This is a test of the free speech system. This is only a test." Wow. Click through to see the associated comic which is pretty great, too. And so HP have bought Palm. I tend to take the optimist's view, this is good for HP and Palm. 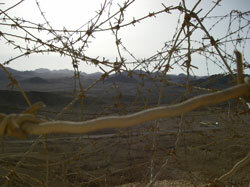 I love my Palm Pre, and it pains me when I read of the company's travails and lack of resources. Meanwhile HP is a good home; they will invest sufficient resources in WebOS and will give wider distribution to it, such as [maybe] on tablet computers. Daring Fireball: "Strikes me as a great move for both companies." ArsTechnica: "HP has the resources that Palm didn't have in order to keep the innovative webOS going." TechCrunch: "Hewlett-Packard has killed off its much ballyhooed Windows 7 tablet computer." Engadget's Liveblog of the announcement. Brad Feld asks: Are storytellers the best programmers? Huh. I think perhaps storytellers are the best UI designers, maybe the best front-end software designers (and being a VC, Brad probably thinks of most software as being web software, and specifically web front-end software). Not sure it follows generally. 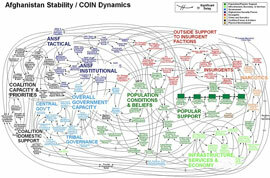 Misleading headline(s) of the day: Generals left baffled by PowerPoint slide. This refers to the diagram at left, which is complicated and could well be baffling. But in no way does this have anything to do with PowerPoint. Does that look like a PowerPoint slide to you? Weird. 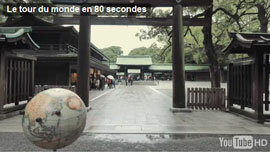 Around the world in 80 seconds. Cool video, which due to some creative editing features what appears to be a single take blasting around the world. Ze Frank's chillout song. Way cool. Ze Frank is ze cool, no? This was apropos Steve Jobs' open letter about Flash. There is only one reason Jobs is opposed to Flash, and it has nothing to do with technology. A viable cross-platform client-side development technology would undermine Apple's hegemony over their iDevice App Store. It's pure business. 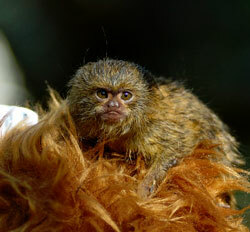 fuzzball ZooBorn of the day: Mogo's Marmoset.